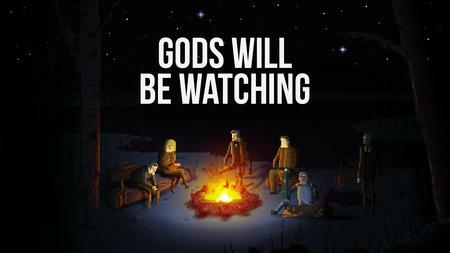 Gods Will Be Watching: Review! “Right click to try again”. Throughout my entire life I have never had to read a single phrase so many times in such a short period of time; then I played “Gods Will Be Watching”. If it was not already abundantly clear from that intro, the game is hard. Not like Dark Souls where the game crushes your spirit to the point that you want to give up, but you can’t because you MUST defeat the next boss. Not like Super Meat boy, where you get so frustrated at not being able to jump over a single spike and you try it until all your controllers are destroyed. No, this is different, this is almost a state of total absorption. Now I realize that you may experience this with anything, even the games mentioned above. However, when it comes to GWBW it’s like watching a fantastic movie or a TV show, and you want to try so desperately to save the main characters and see them grow and develop, because they have appealed to you in such a short amount of time. Yet sadly, you can’t, and they die… over… and over…. and over… taking a serious toll on your emotions. 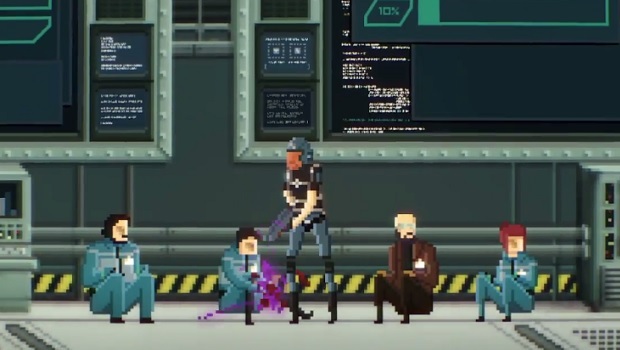 Gods Will Be Watching is a point and click thriller game with a serious dependency on puzzles. Don’t let that fool you, because the storyline is what separates this from your standard puzzle game. You take on the role of Sergeant Abraham Burden and his team. Though it is technically Burden making all the decisions, it plays out like you are controlling each character individually (even though it is likely just Burden telling them what to do, without the dialogue being present, which is okay because you can make out what is happening anyway). As I mentioned, it is a point and click game so everything is done with the mouse. You are offered various choices in each scenario, such as interacting with items but for the most part it is either speaking to people or ordering them to do things. These choices can greatly affect the progression of the game, and a lot of them tend to be quite difficult, not only in terms of level difficulty but also because you are forced to take matters into your own hands and make some pretty harsh decisions. People will die in order for you to succeed in this game and it is pretty upsetting, but it’s for the greater good. In terms of actual gameplay, there are many variables in each scenario. These can range from anything to anything else, but a few examples I have come across include things like how much damage you can take from torture before dying, or how much poison injections your team can endure before you end up alone in a cave. From what I have played so far it seems like there will be someone to help you with things you need to know about. For example in the first chapter you can ask one of the characters questions about certain things in the room and he will provide hints. Not always totally straightforward ones either so you’re going to have to piece the information together in order to beat the level. Unfortunately this was not the case in the second chapter. I had to die a lot before I figured out the pattern, and even then I barely passed the level, it’s probably fair to say I got pretty lucky during the round of Russian roulette! This means that the game is not so black and white, and there are a few ways to deal with each situation, so make sure you think every decision through thoroughly. The game begins with you looking at Burden and his team stranded on an ice planet after being betrayed by a man named Liam, whom you meet later on. The team are complaining about being left to a fate worse than death and arguing lightly amongst themselves. There is some satire in the dialogue as well as some obvious humour but ultimately it is a sad time, and this goes for almost every scene, the game makes great use of comic relief. After this “cut scene” ends you are thrown into chapter one, which is a flashback to one year ago. During this chapter you are attempting to hack into a computer aboard a ship occupied by your enemies, you are doing this to secure intel on the “medusa virus”. With 4 hostages to take care of, a machine to hack AND protect, and guards to suppress, you do have a lot on your plate during this mission. If you upset the hostages they will try and run away, similarly, if you allow them to relax too much they will make a run for it too. Whilst hacking the system you can be counter hacked and lose progress, then your hostages can escape whilst you try to repair the damage, and as you lose hostages you increase the chance of failure because the guards will be less hesitant to breach and attack you. The game works on a turn like system, so after you actually decide to do something and it happens, whatever the outcome is will take place before you are allowed to make another decision. For example: if your hostages are shaking with fear and look like they are ready to run, and you decide to attack the guards, after the shooting animation has finished (and the “turn” ends) your hostages will freak out and try and run and you must deal with them, thus losing a “turn”. Now that may sound simple, but trust me when I say it is far from it. I thought I’d be adventurous and try out the “original” difficulty because easy sounded, well, too easy. I was wrong, it was hard… very hard. I must have failed the first mission 20 times at least, and that crushed my spirits a little and so I decided to try my luck at easy, because honestly how could this get any meaner?! Well I breezed through the first mission on easy and I was very excited to finally move on in the game (because the story is something that I’m very interested in). Believe me when I tell you that the second chapter of this game is the most infuriating thing I’ve ever experienced, and what makes it worse is that I already liked this character… and I had to watch him die multiple times. Without giving too much away, the second chapter involves a torture session and it is a long one at that. The difficulty comes in when you must decide how much damage you can take before you die, whilst not giving up the information your torturer wants, because then he won’t need you anymore. The torturer is actually one of my favourite characters surprisingly, his dialogue is the wittiest and he can provide some much needed humour amidst all this death. The worst part about this chapter though, is that you can get so far through the torture and then you mess up and die, and you must restart and endure it all again. It’s soul crushing. I’ve mentioned the dialogue a lot because it’s obviously the only narrative in the game, since there is no voice acting, but right now during the beta phase it is flawed. Grammar wise as well as pure cheesiness is kind of a problem right now, but the developers are a small team and I don’t believe that English is their first language so it was a fantastic attempt considering that fact. Hopefully we will see this fixed in the full release. In terms of graphics and gameplay, not a lot can be said or improved upon. 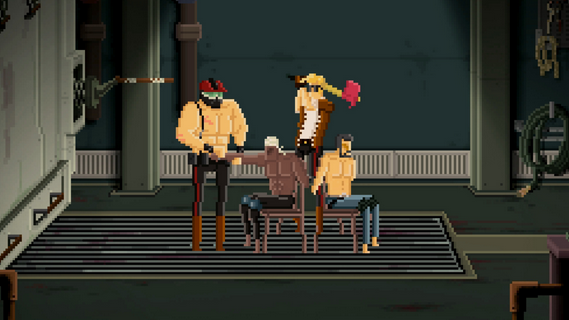 It is a pixel art point and click after all, so it looks about as good as it’s ever going to get. That being said some of the sprites in the game are pretty fantastic, which isn’t necessarily a huge selling point but the little things are important. Given that the game is currently in beta (it actually releases for full on the 24th which is today but I have yet to play the full version to see any improvements) the only thing I could hope for in terms of gameplay improvements would be slightly better response times, because I found myself waiting around a little bit while other characters did their own thing. If you ever buy a point and click game, make it this one. The story is fantastic and the characters allow to connect with them easily. The action is ever present even though it is not necessarily action driven. The puzzles are pretty challenging, especially on the original difficulty so those who like a challenge should definitely enjoy this game. I’m not even a massive fan of puzzle games or point and clicks but this has been one of the most intense and certainly one of the most interesting games I have played to date. I failed an embarrassing amount of times but I had to keep going to find out what happened next! As always I hope you’ve enjoyed reading this as much as I enjoyed playing it, and I hope that you might consider purchasing the game. You’ll never become so angry so fast and want to keep going! I'd like to thank Alex for providing me with the game itself, without him I probably wouldn't have found this gem. You should thank him too, because he has also provided the second code for the contest! Pick the game up HERE on Steam! Thanks to Alex, I have a second code that I will be using in a giveaway for you all today! All you have to do to enter is post below! Anything posted below will be counted in the giveaway (unless you state otherwise). I will use a random number generator to pick a winner on Friday!